Injection pressure refers to the force that helps molten resin overcomes the resistance to flow. When the mold screw reaches changeover to holding pressure, the pressure on screw front end is referred to as injection pressure. Fill the entire cavity with a pressure lower than the max. injection pressure of the injection molding machine, or molding failure might occur. 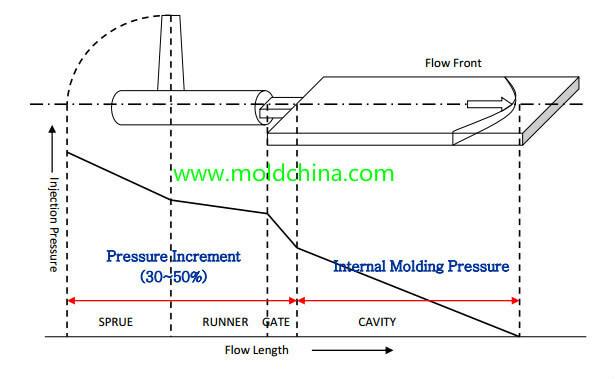 Out of considerations for safety, during mold design and injection molding condition setting, the molding pressure is set to be lower than 80% of the max. injection pressure of the injection molding machine.